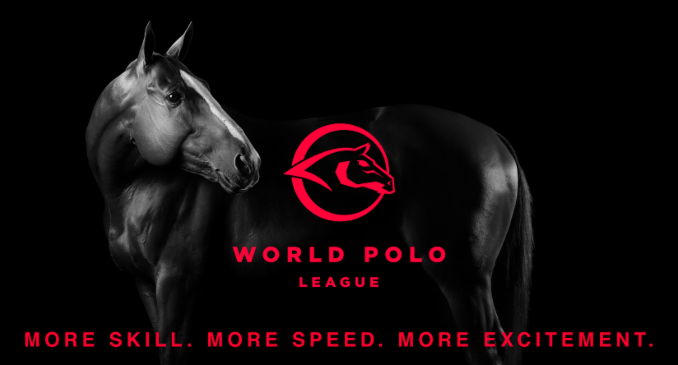 Alegria won its first game of the World Polo League’s Triple Crown of Polo Wednesday with a convincing win at blustery Jan Pamela Field. 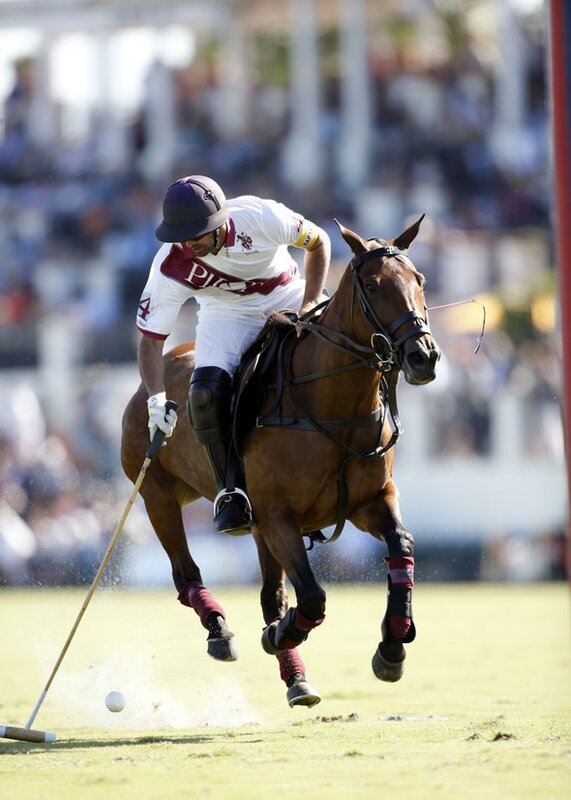 Alegria (Freddie Mannix, 8, Jesse Bray, 6, Gringo Colombres, 7, Juan Martin Obregon, 5) dominated most of the game for a 16-12 victory over Black Watch (Juan Cruz Merlos, 5, Nacho Figueras, 6, Pite Merlos, 8/Lucas Lalor, 5, Tommy Biddle, 5). Gringo Colombres of Alegria works the near side shot out of the saddle. Alegria had to dig itself out of a hole early when Black Watch started with a 3-0 lead on handicap. 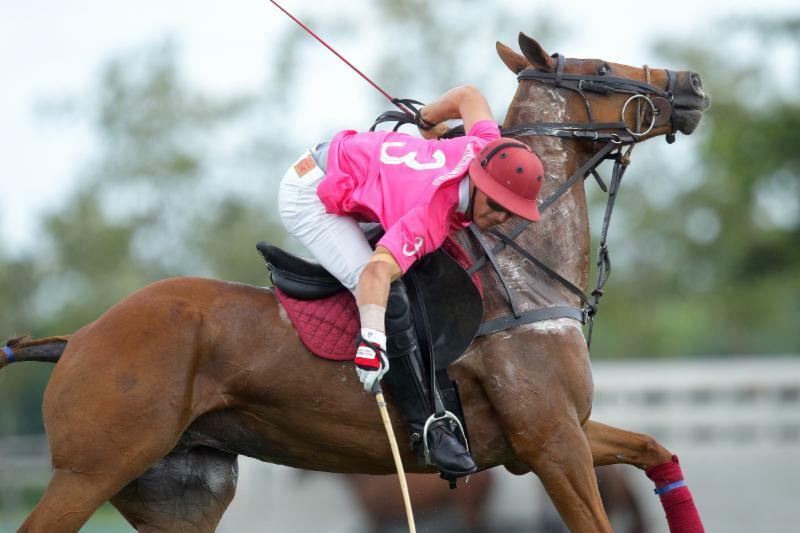 By the end of the first chukker, Alegria trailed by only one (5-4) on Bray’s goal with 31 seconds left. 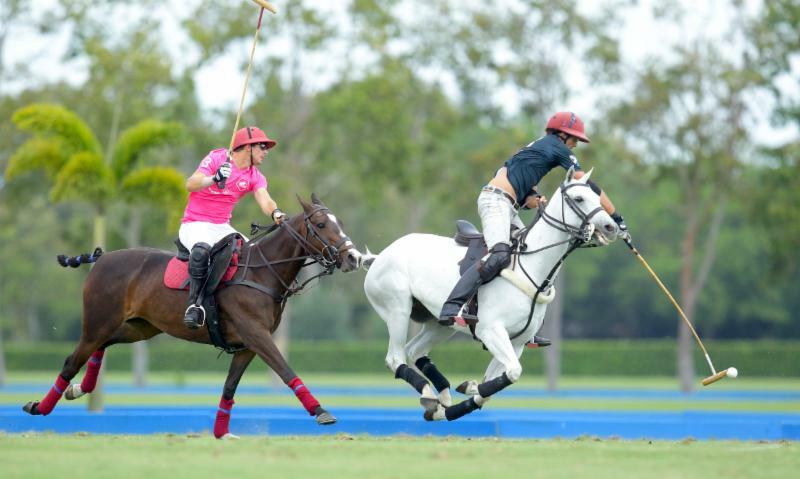 Lucas Lalor of Black Watch outraces Juan Martin Obregon of Alegria for the ball in the second half. Alegria tied the game, 6-6, with 4:27 left on another Bray goal. The teams tied twice (7-7 and 8-8) before Alegria went ahead, 9-8 on Obregon’s 40-yard penalty conversion and never trailed after that. Jesse Bray of Alegria goes for the big hit for one of his team-high six goals. 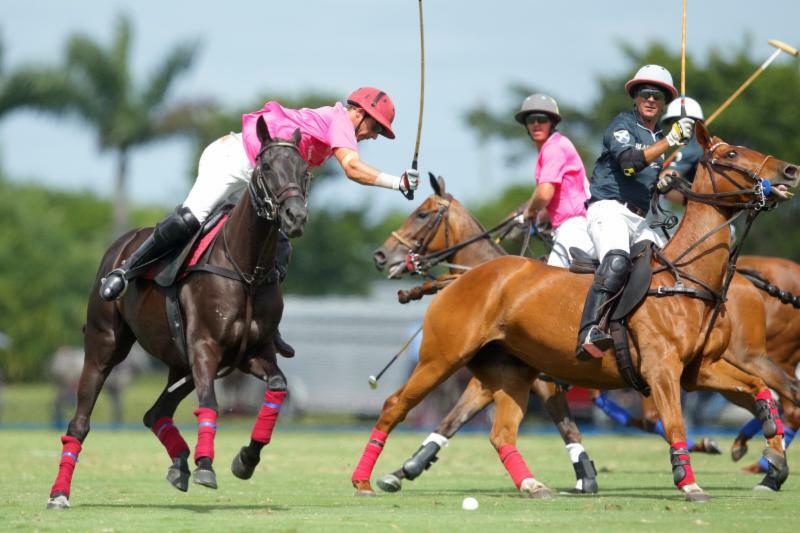 Black Watch cut Alegria’s lead to one, 11-10, in the fifth chukker after Figueras scored off a nice long pass from Biddle. 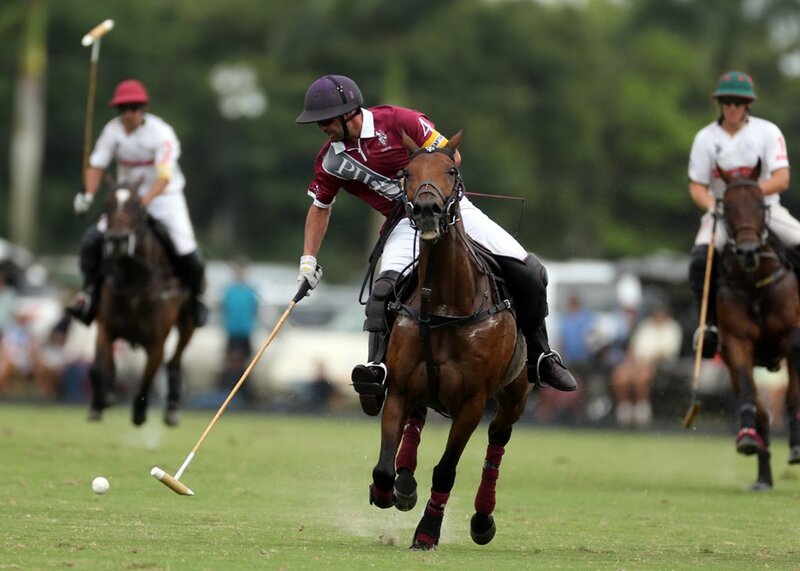 But Alegria pulled away for a 13-10 lead behind back-to-back goals from Obregon and Bray. 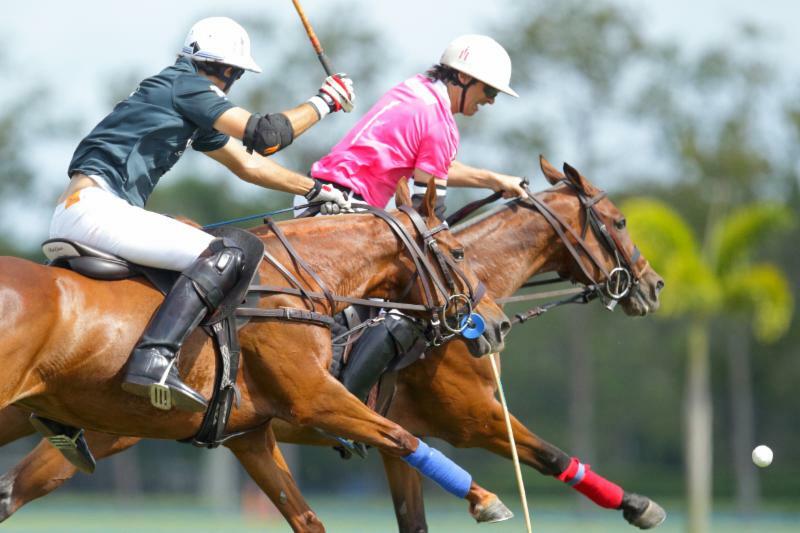 Alegria ended up outscoring Black Watch, 7-4, in the second half. “The team is performing,” Mannix said. “It’s a long season. The horses are so fundamental to the game and we played a lot of games in a row. 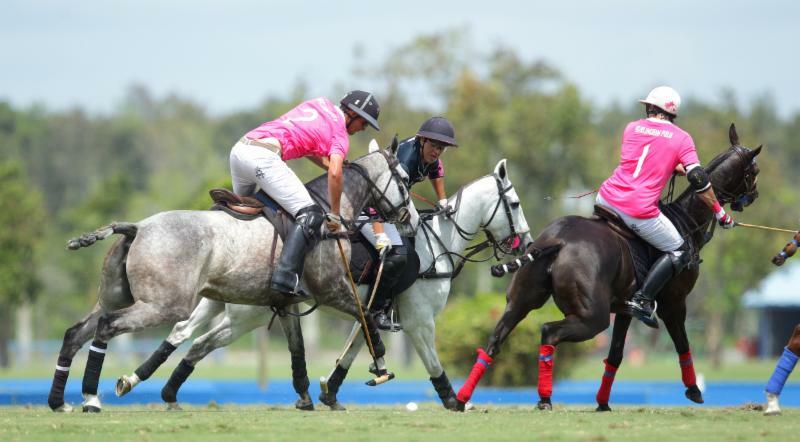 The first game of the Triple Crown we played against Valiente. The horses were a bit flat, we were a bit flat. 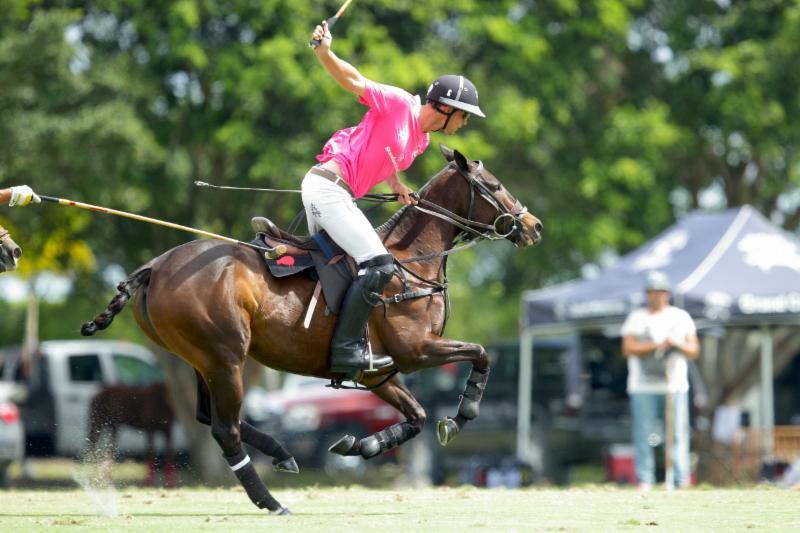 Valiente is serious business so you have to play awesome to beat them. Jesse Bray of Alegria hooks Juan Cruz Merlos of Black Watch as he tries to hit. Alegria is 1-1 and Black Watch is 0-2 in Bracket I play. 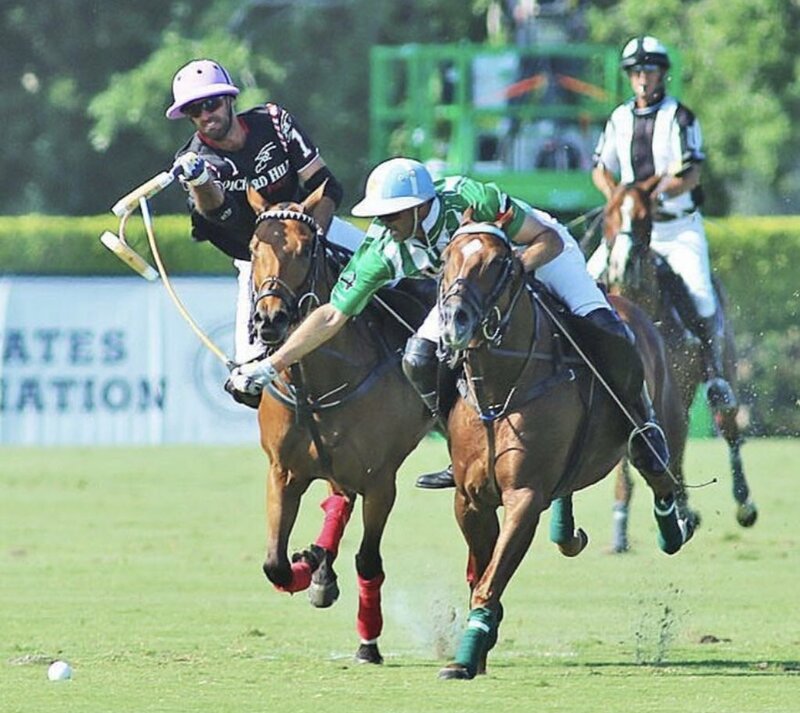 Nacho Figueras of Black Watch defends Freddie Mannix of Alegria while he works the ball in the air. Bray led Alegria in scoring with a team-high six goals. Obregon had five goals, Colombres had three and Mannix added two goals. 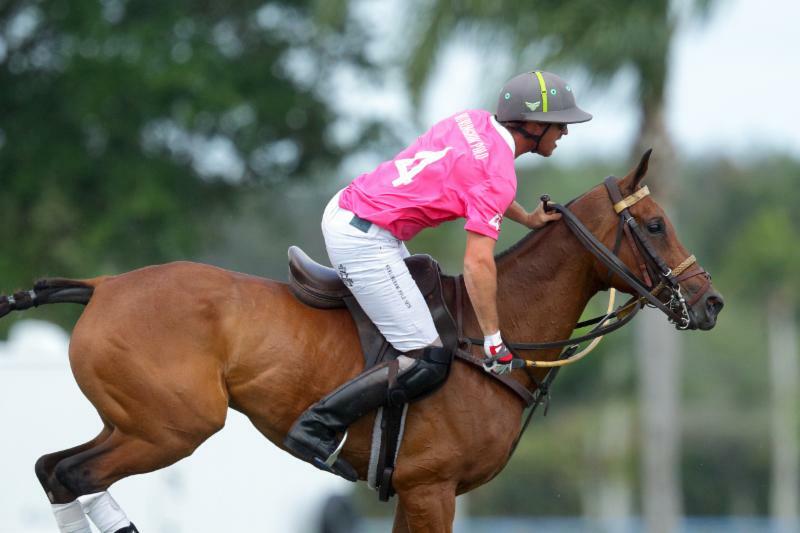 Gringo Colombres of Alegria looks to be flying on his horse as he follows up his hit. Biddle led Black Watch with six goals including five penalty conversions. Figueras had two goals and Juan Cruz Merlos added one goal. 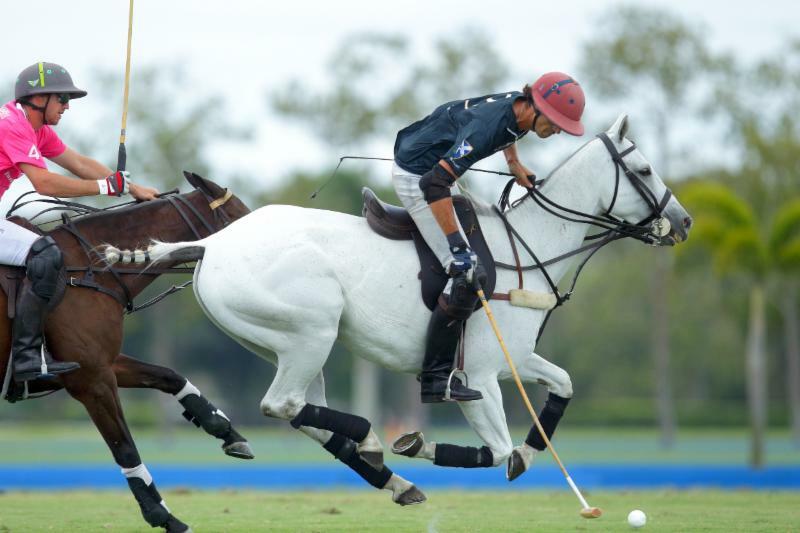 Lucas Lalor of Black Watch works the ball out of the air on the near side with Gringo Colombres of Alegria defending. Two games are scheduled for Thursday. 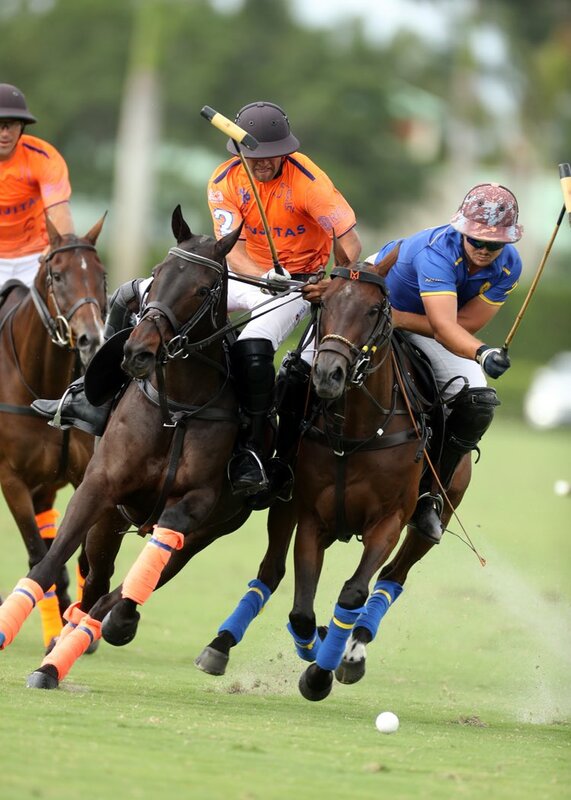 Mandarina plays WPL at 11 a.m. at Grand Champions Polo Club Field One. 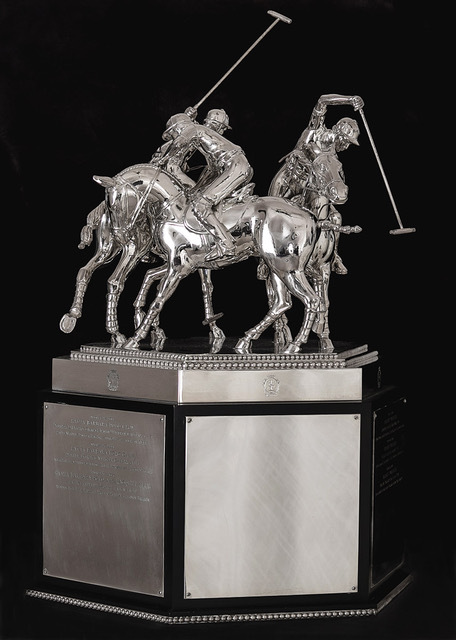 Colorado and Valiente renew their J5 Equestrian rivalry at 4 p.m. at Valiente Polo Farm Field Three. 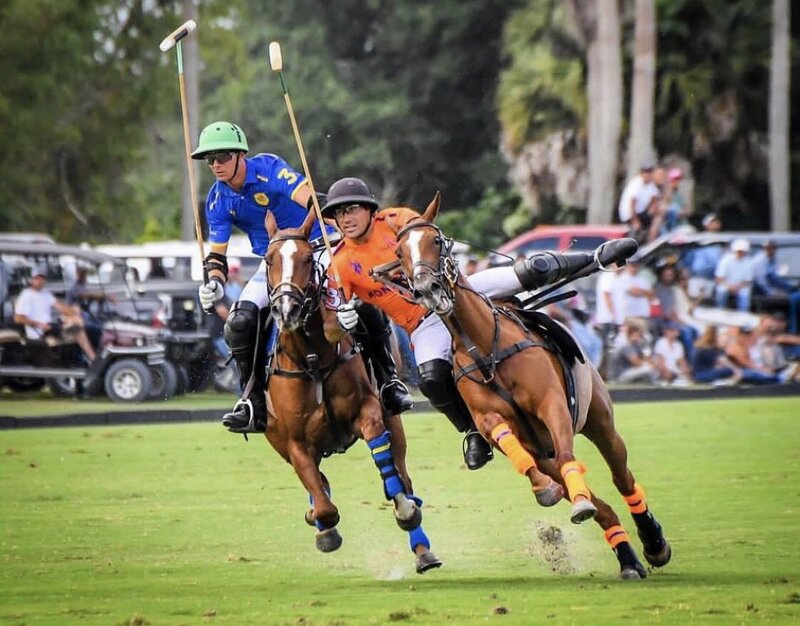 Grand Champions and Valiente are launching the U.S. National Mixed Doubles Championship, featuring two men and two women with combined handicaps set for Friday, April 5 at a Valiente Polo Farm Field One at 4:30 p.m.
Juan Martin Obregon of Alegria leans into his neck shot. 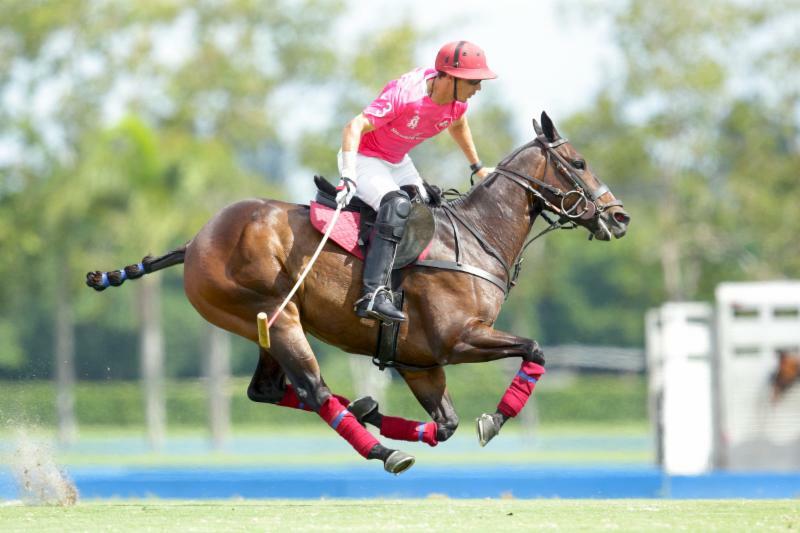 Valiente (Bob Jornayvaz, Mia Novillo Astrada, Mia Cambiaso, Adolfo Cambiaso) will play Audi (Marc Ganzi, Pablo MacDonough/Juan Martin Nero, Nina Clarkin, Mili Sanchez) in the unique event. 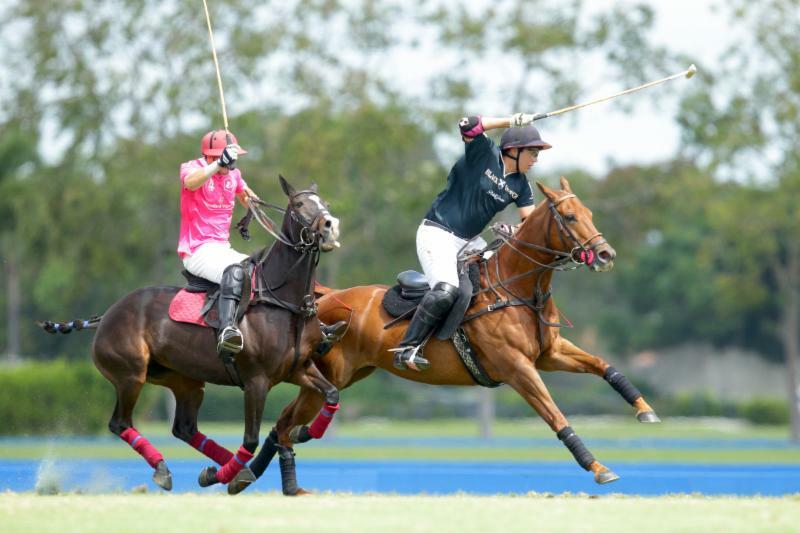 Juan Cruz Merlos of Black Watch goes to hit with Gringo Colombres of Alegria defending. Gringo Colombres of Alegria reaches for the ball. 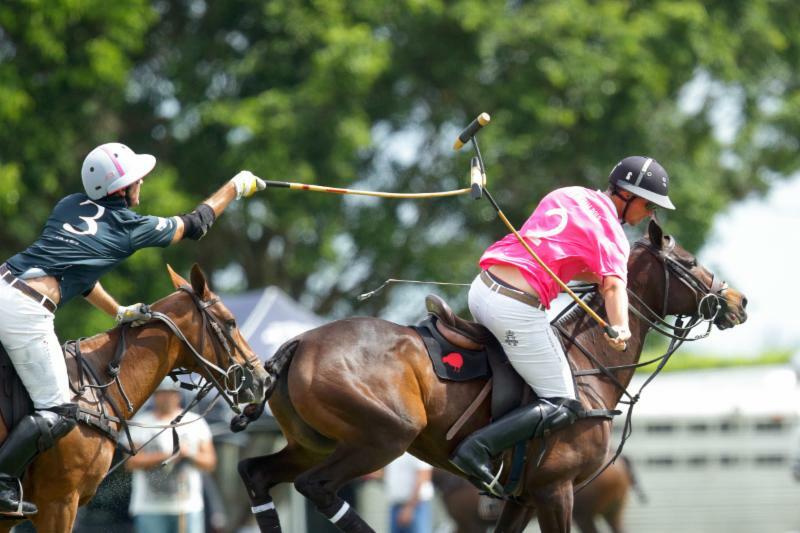 Pite Merlos of Black Watch wraps his mallet for the hook on Jesse Bray of Alegria.